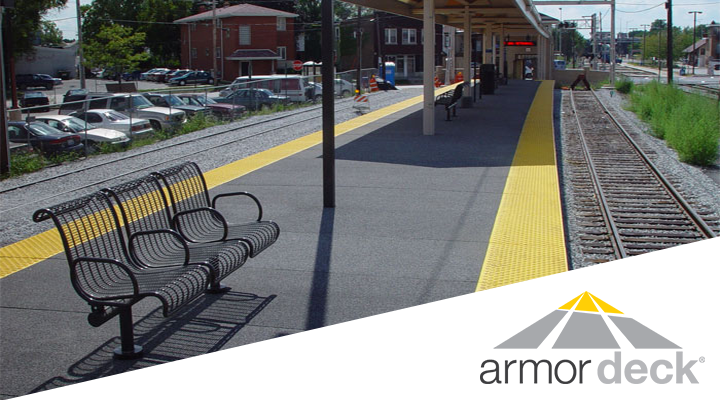 Armor-Deck® is a state of the art transit platform it’s panels are composed of a structural reinforced polymer composite formed into a pre-cast panel incorporating a monolithic Diamond-Tek granite wearing surface. Armor-Deck® Systems are manufactured by the makers of Armor-Tile® and boast a factory installed “Diamond Hard” vitrified polymer composite. 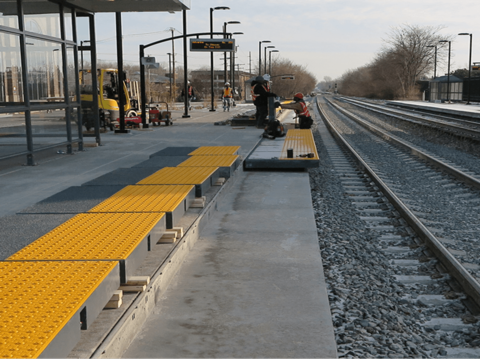 Armor-Deck® offers a Fully AODA/CSA/ISO and OBC compliant detectable warning surface with the natural wear resistance of granite and is corrosion resistant to salt, ice melting, chemicals, acid rain and other prevalent chemicals found on a transit platform. Armor-Deck® is high density, non-porous material for freeze/thaw resistance and ease of maintenance. Ultra light weight Armor-Deck® panels can reduce up to 85% of concrete weight. This saves money on erection and substructure. Armor-Deck® enhanced design of detectable warning surface provides a safer more accessible walking surface for all disability groups and more including mobility impaired, the elderly and visually impaired to name a few. Armor-Deck® is UV stable and comes with a twenty five year structural and corrosion resistant warranty. Snow, frost and ice melting system. 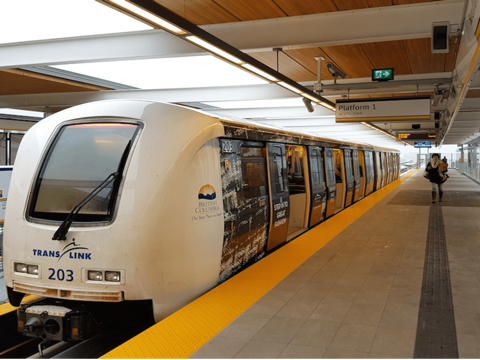 Detectable warning systems designed for transit environments. Composite ramps incorporating advanced materials for the lightest weight while supporting heavy loads. Composite stairs customizable to your specifications have a far longer lifespan than steel or concrete.